George Louis Surber was born on 11 June 1890 in New York City, New York. He was employed as a plumber, according to the 1910 census. He was employed as a gas fitter, according to the 1915 census. George Louis Surber registered for the draft on 5 June 1917 in Bronx, New York, while living there at 995 Summit Avenue in New York. 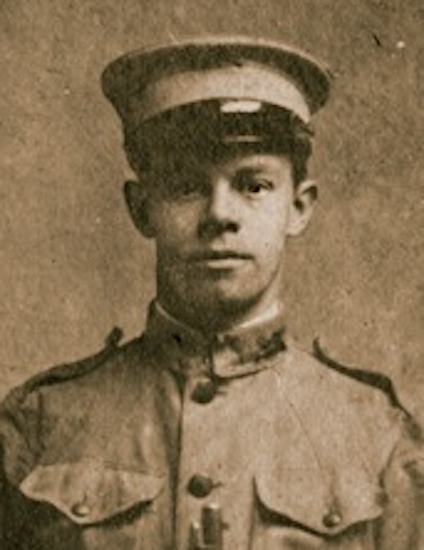 He served during World War I. He was employed as a plumber, according to the 1920 census. The following appeared on 18 February 1920 in The Brooklyn Daily Eagle: Marriage Licenses, Queens County. George Surber, 29, 995 Summit ave., Bronx, Rose Jaeger, 28, 2343 Palmetto st., Ridgewood. He married Rosa Maria Jaeger, daughter of Joseph Jaeger and Anna Maria Muttach, on 22 February 1920 in Brooklyn, Queens, New York, at St. Aloysius Church, with Rev. John W. Hauptmann officiating. Anna Maria Muttach appeared in the US federal census of 1 April 1930 in Ridgewood, Queens County, New York, at 5946 Gates Avenue. Other members of the household included George Louis Surber, Albert Herman Grieger and Rosa Maria Jaeger. He was employed as a plumber, according to the 1930 census. George Louis Surber died on 17 April 1957 at age 66 in Cortland County, New York. Rosa Maria Jaeger became a widow at his death.